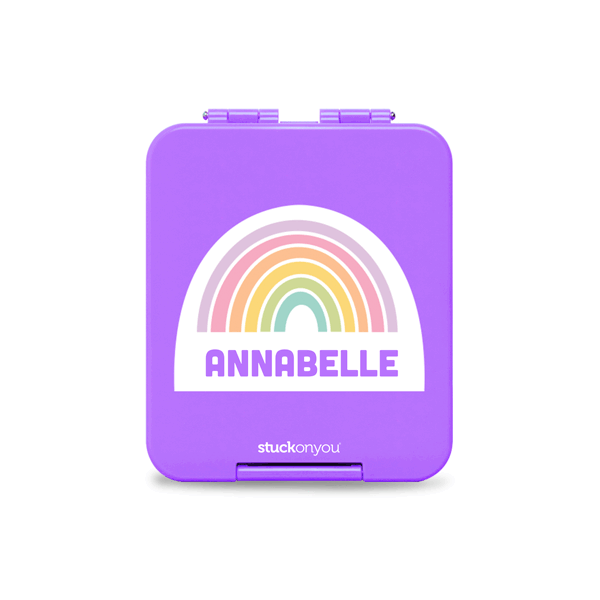 Silicone insert inside lid to prevent seepage between compartments. 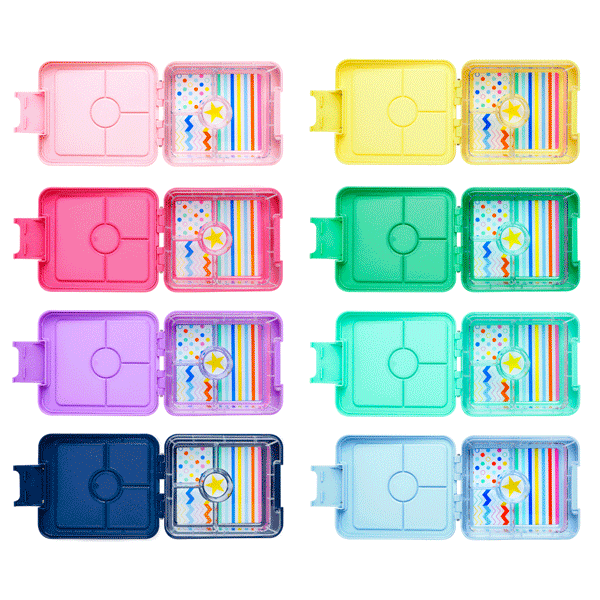 Please note: The Mini Bento Box is designed to hold thicker liquids such as yoghurts, sauces and dips. However, it is not watertight so it may not prevent the leakage of runnier liquids such as drinks or any excess oils/juices that leak out from food items like sundried tomatoes and fruits. 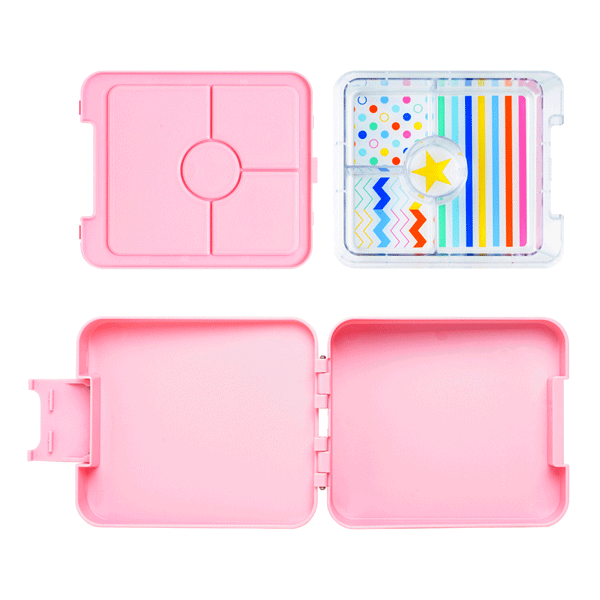 •	Silicone insert can be removed for easy cleaning (for tips on how to pull your Mini Bento apart carefully and safely, watch this short YouTube video).